Natural leather sandals with wedges and ankles straps, hand painted. Ideal for casual clothes and free time. Match them to your Acquerello handbag! 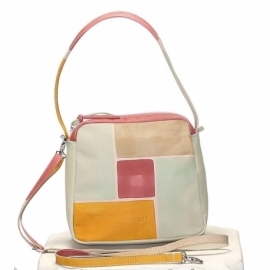 Colors pink yellow beige and aquamarine and pattern geometrical.